As director of Car4Leasing, I like to think – well, in fact, I know – that we offer a female friendly leasing experience for anyone who contacts us to talk about leasing their next vehicle. Car4Leasing has a team of salespeople, including a female head of sales, and we do not patronise or try to educate when education clearly isn’t needed. In saying that, I personally don’t believe that the experience should be exclusively aimed at females – we have male salespeople too, after all! The whole experience should be as pleasurable for ladies as it is for men and that is what we work as a team to achieve. The days of patronising and pushy leasing brokers has gone: people know what they want and we will provide advice on vehicle choice if it is needed or requested. If it is not, we give clients the best deal possible on the car of their choice. Leasing is a competitive marketplace and staying ahead of the game is a challenge – as MD, I believe that it is a real mix of IT and great car deals. The website has to do a great job (and there are some big changes coming soon that I will be telling you about soon in this area! ), we have to provide excellent value for money, and this has to be followed up by excellent customer care. Training any new member of our team takes priority; we are not an exclusive dealership selling only one marque – we have to be knowledgeable on all sectors and manufacturers. We have to know about specifications, trims and options. We have to fully understand different contract options and be compliant in all areas of selling. 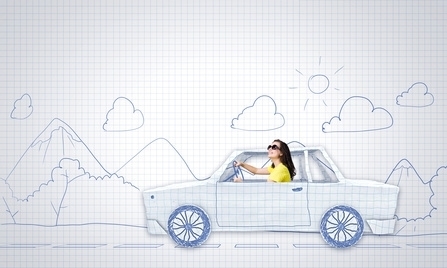 So, if you are a female – or a male – Car4Leasing makes it simple. We welcome you all with the same enthusiasm and promise you of our best attention at all times. And that is a guarantee.